It's so easy to get lost in time, space, and in the hypnotic sounds of Silversun Pickups. Their shoegaze, alt-indie rock sound is mesmerizingly beautiful. Their gradual but steady climb up the ladder of chart and album sales success also came along with a growing fanbase. And these followers are always hungry for a live concert experience. Don't underestimate this crowd. Before you know it, tickets will be soon hard to find. There's not better time to score tickets but now. Catch Silversun Pickups while you can. Book your tickets now! 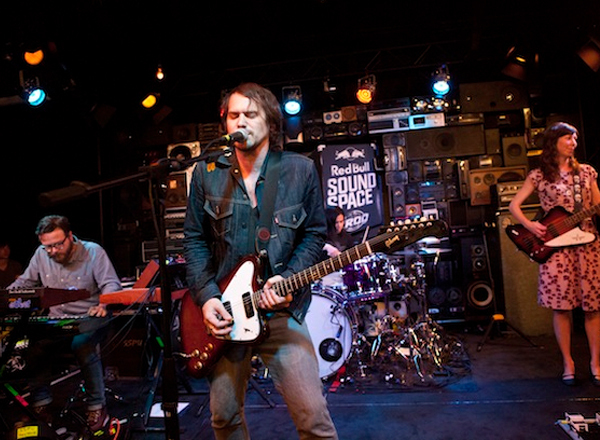 Brian Aubert, Nikki Monninger, Christopher Guanlao and Joe Lester comprise the current line-up of Silversun Pickups. Formed in the year 2000 in Los Angeles California, the band's sound is most often described as alternative indie rock with a touch of dream pop and shoegaze. This band is one of music critics' favorites. Often compared to the sound of My Bloody Valentine and The Smashing Pumpkins, Silversun Pickups thrives in their own artistic style that no one could exactly put a pin down on. In 2009, they made big waves that was soon noticed and merited a Grammy nomination for Best New Artist. So far, they have released four studio albums: "Carnavas" (2006), "Swoon" (2009), "Neck of the Woods" (2012) and "Better Nature" (2015).